So Florida Panthers’ forward Matt Bradley doesn’t much care for his former Washington Capitals’ teammate Alexander Semin. You don’t honestly think that all players on all teams actually get along with each other, do you? They do not. In fact, sometimes they hate each other so much they won’t even speak. But those points are irrelevant when it comes to winning. Chemistry is important, but a desire to win is much bigger. And that’s the biggest problem Bradley has with Semin. Bit players, like Bradley, are always the most observant. That’s why most NHL superstars never go on to successful careers as analysts (Denis Potvin would be one exception). Bit players mostly sit in the corner of the room and watch the stars plan out the course of games. And that’s why most NHL superstars never go on to be great coaches (Toe Blake would be one exception). Most successful coaches never had the gifted physical skills. They had to think their way around the rink. Which is exactly what Bradley says Alexander Semin doesn’t do. I cheered when I read Bradley’s comments. Partly because they are far from politically correct. And partly because they are bang-on. 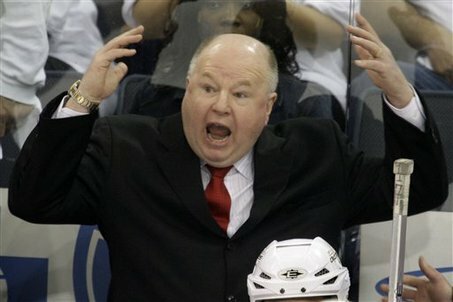 Semin should be one of the Caps’ best players, but he continually lets head coach Bruce Boudreau down. Those kind of players do nothing except make coaches older and greyer. Frankly, with the potential talent on their roster, the Washington Capitals should have been in the thick of the Stanley Cup mix over the past couple of years. I understand that their goaltending has been far from Hall-of-Fame quality. Jose Theodore and Semyon Varlamov and Michal Neuvirth have not, by any stretch, gotten the job done in April and May. The Capitals have embarrassed themselves in their last two playoff runs. Maybe goaltender Tomas Vokoun will change that pattern. And if I played for the Capitals, as Matt Bradley did, it would make me sick to my stomach. Because chances to win the Stanley Cup don’t come along every day. Tim Thomas could corroborate that. The problem with Bradley’s comments is that they will make no difference. 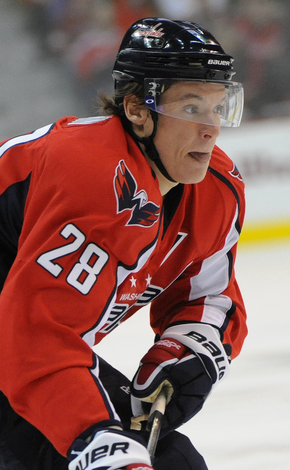 Alexander Semin will continue underachieving under pressure. Just like Alexandre Daigle and Alexei Yashin and Alexei Kovalev did before him. But Matt Bradley should be happy about one thing today – that he’s out of Washington. Nice to have you back BMS.